On April 8, US rock star Bruce Springsteen published the statement below on his website. As you, my fans, know I'm scheduled to play in Greensboro, North Carolina this Sunday. As we also know, North Carolina has just passed HB2, which the media are referring to as the “bathroom” law. HB2 — known officially as the Public Facilities Privacy and Security Act — dictates which bathrooms transgender people are permitted to use. Just as important, the law also attacks the rights of LGBT citizens to sue when their human rights are violated in the workplace. 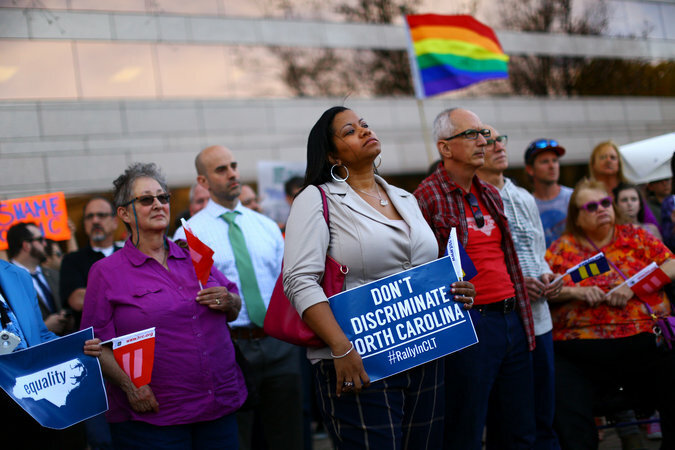 No other group of North Carolinians faces such a burden. To my mind, it's an attempt by people who cannot stand the progress our country has made in recognizing the human rights of all of our citizens to overturn that progress. Right now, there are many groups, businesses, and individuals in North Carolina working to oppose and overcome these negative developments. Taking all of this into account, I feel that this is a time for me and the band to show solidarity for those freedom fighters. As a result, and with deepest apologies to our dedicated fans in Greensboro, we have canceled our show scheduled for Sunday, April 10th. Some things are more important than a rock show and this fight against prejudice and bigotry — which is happening as I write — is one of them. It is the strongest means I have for raising my voice in opposition to those who continue to push us backwards instead of forwards. For close to three decades, Green Left Weekly has made the most important political argument of our times -- the ecological and social crises we face are connected and neither can be solved if capitalism endures. Green Left Weekly is a precious institution. Support it in every way you can. Socialist activist and writer based in Scotland. Former editor of Green Left Weekly.